This week work started on the new Minden roundabout, at the corner of Hwy 88 and County Road. Right now they haven’t started digging into the pavement too much, so it’s just a lot of traffic cones everywhere. But soon there’s going to have to tear it all up to reroute the lanes, and things are going to get nasty. It’s probably going to take a couple of months to finish it, so avoid that intersection if possible this summer. Although I know that’s a pretty hard intersection to go around. 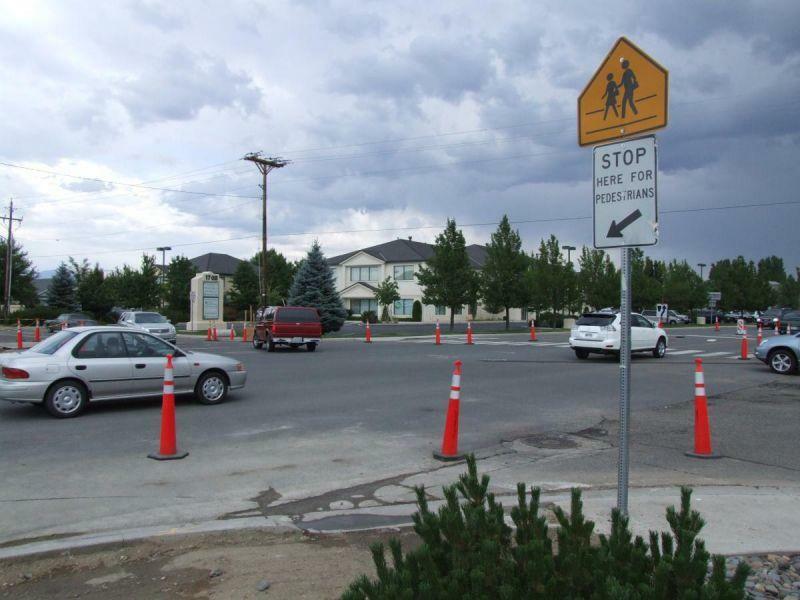 This is the roundabout that NDOT shoved down our throats by refusing to put a stoplight at the corner. They say roundabouts cause fewer accidents and less traffic than a signal, and I hope they’re right because this particular one is costing about three times as much as a stoplight would. Work is supposed to be done by August, before school starts. But this is Granite Construction we’re talking about, so all bets are off. This is going on right where I turn to go to my office. This morning it was a traffic nightmare far exceeding any that happens during school days. I predict accidents on this corner will increase ten fold DURING construction. I just don’t understand why a roundabout was considered the solution. What are those big old trucks that come through gonna do….such a ridiculous idea.